Superman's Symbol, Shield, Emblem, Logo and Its History! Superman's Symbol. Pop Art. An Icon. The Original. An unique piece of Americana. 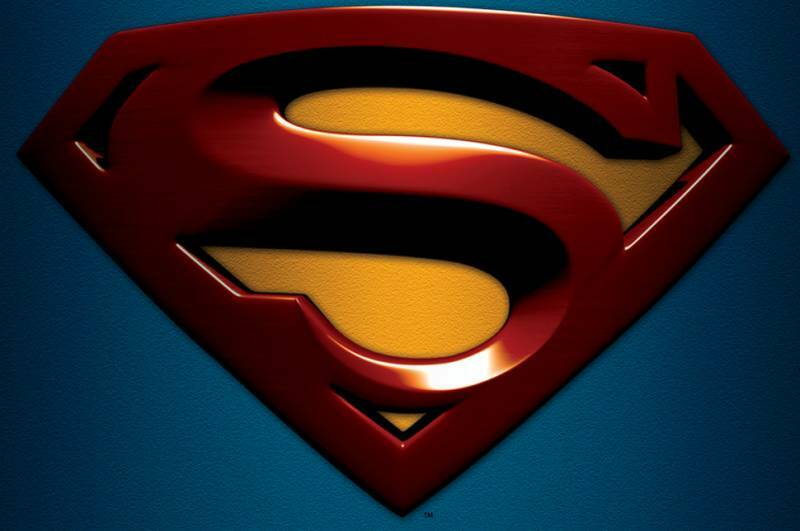 Superman's "S" emblem is all of these things and more. 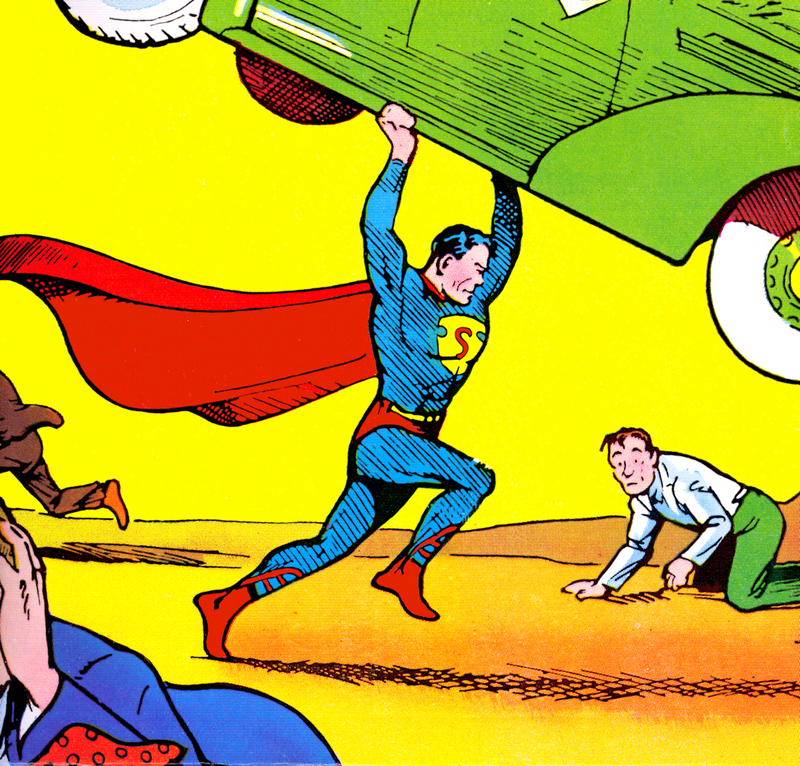 As it is, Action Comics #1 is the "Big Bang" of Super-Heroes. There is no "super" in "hero" before "Super"man, after all. And if the Super-Hero is the modern "mythology" in our culture, then Superman began a tradition that is steeped in historic iconography. As Dan Brown's Robert Langdon would likely point out, symbols have power, and when Superman, the first and most successful Super-Hero in history, sported a Symbol on his chest, pretty much every superhero after that did, too (Batman, the Flash, Green Lantern, etc.). And not just the ones from DC, either - Atlas/Marvel did the same thing (at the beginning and even decades later, when they "reinvented" the Super-Hero) with Captain America, The Whizzer, Destroyer, Blue Diamond, Union Jack, Miss America, and then the Fantastic Four, Spider-Man, Daredevil and the lot of them. When people think "Super Hero", they think of someone with a cape, tights and some kind of icon on their chest. Superman's logo is instantly recognizable and you can see it utilized in advertisements for pretty much anything you can think of when someone wants to emphasize what they're doing is at the apex of its ilk, to the extreme, of the highest degree, the greatest ever. 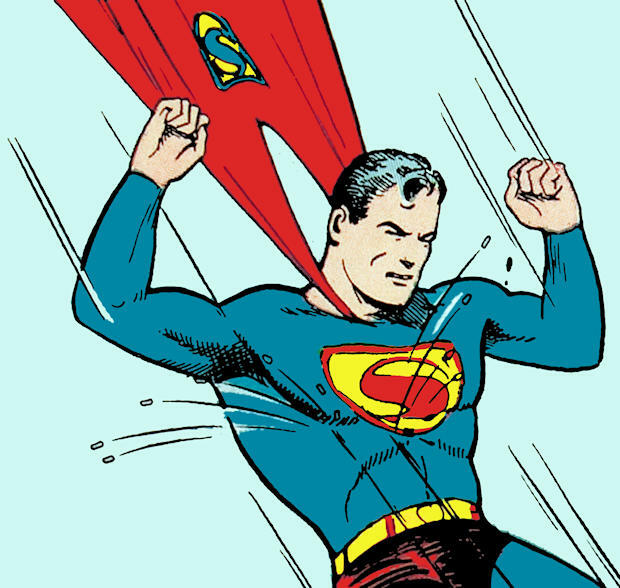 When it comes to attracting attention, Superman's symbol carries the day . It didn't start out that way, though. Initially, it was not even considered a significant part of his costume by his publisher. In hindsight, though, it turned out to be the most important, overall, toward the end of protecting and sustaining the ability to publish the character in perpetuity. Superman has been an icon for over 70 years and his symbol was the first of its kind. 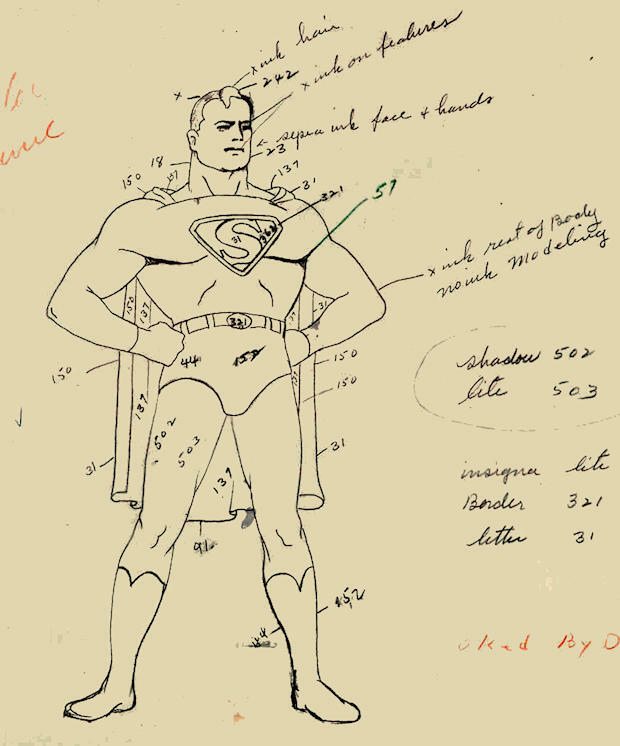 Prior to Superman, there was no such thing as a "Super-Hero", nor was there such a thing as a "Super-Hero Costume", nor was there a trademarked symbol that any fictional character had worn prior to Superman. 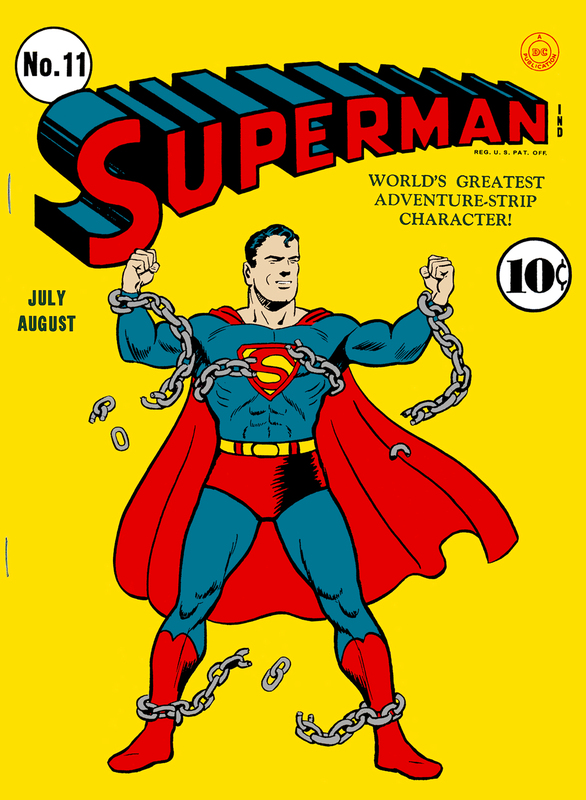 As The Original Super-Hero, he and his symbol were the foundation upon which the comics industry has been built. 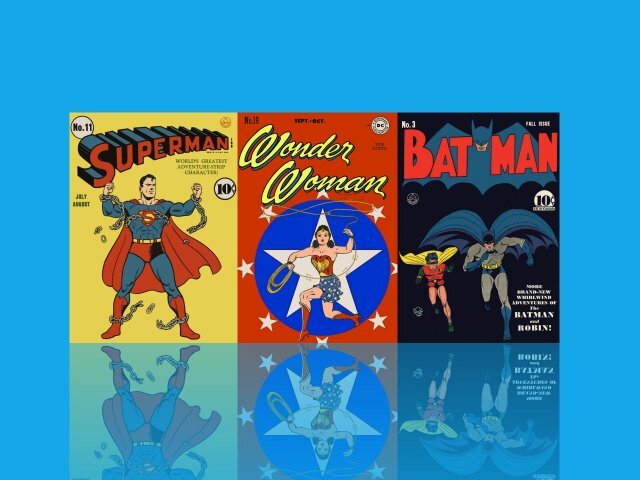 There would have been no comics "boom" in the late 1930's, no Batman, no Sub-Mariner, no Human Torch, no Captain America, no Captain Marvel (Shazam! or otherwise) were there no Superman. 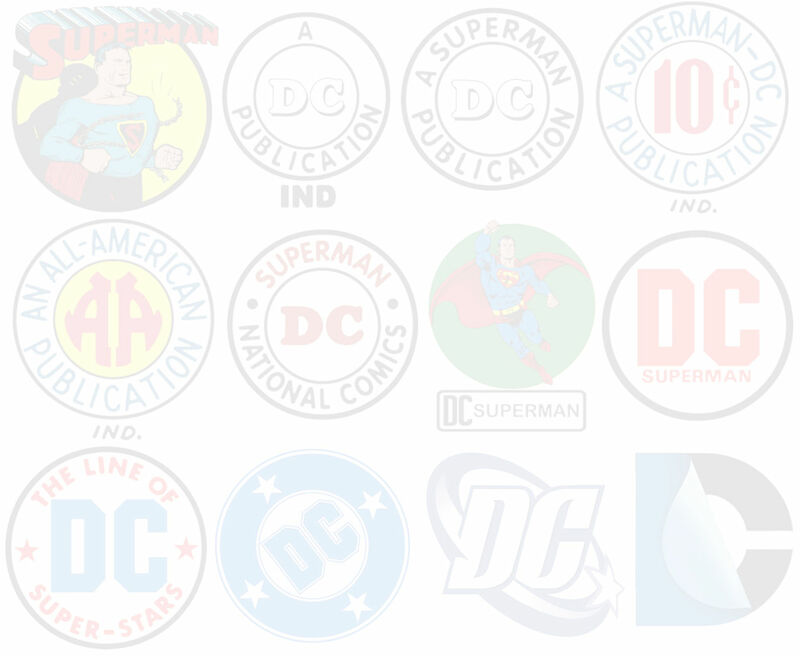 There would be no DC Comics as we know it today. Marvel Comics would never have become a publisher of super-heroes and its Silver Age stable of characters (Spider-Man, the Fantastic Four, Iron Man, Daredevil, The Hulk, The X-Men) would be absolutely non-existent. 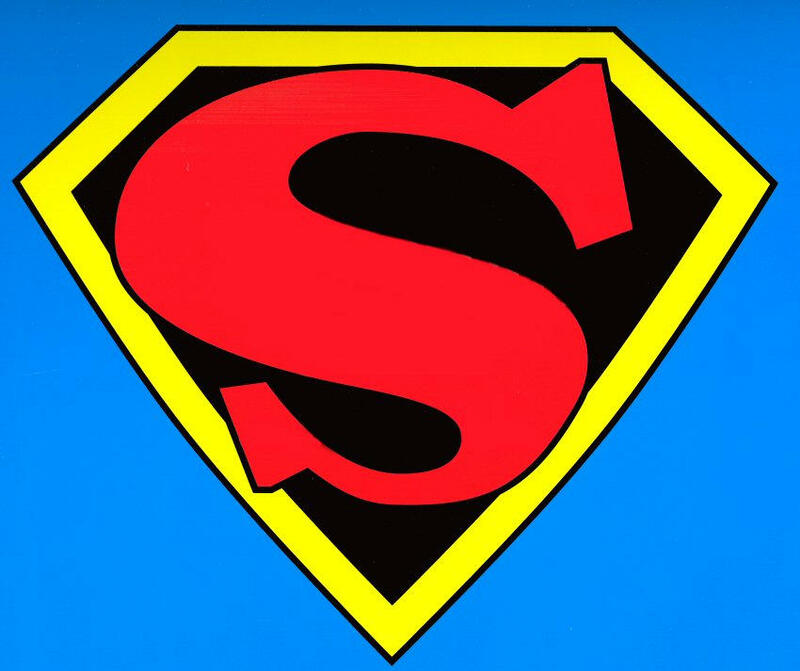 In 1945, National Periodical Publications (later simply known as "DC Comics") trademarked Superman's symbol, allowing the ability to print his stories in perpetuity, rather than allowing the printed material to become public domain after 75 years, as was the norm at that time. The ability to license and merchandise the character created another source of income for the comics industry. Superman's symbol has become recognizable all over the world. However, at one time, it was not even very consistently drawn - and that is the crux of this article. Prior to having trademarked the symbol, it went through a great deal of metamorphosis (metamorphoses?). Here is the story as we know it. NOTE: This page is currently under construction and will be updated as more information becomes available. Metropolisplus.com has used primarily covers for the purposes of this article, as that is the part of the comic which attracted the most attention and were provided with the most detail and were printed with the best available reproduction of the day. 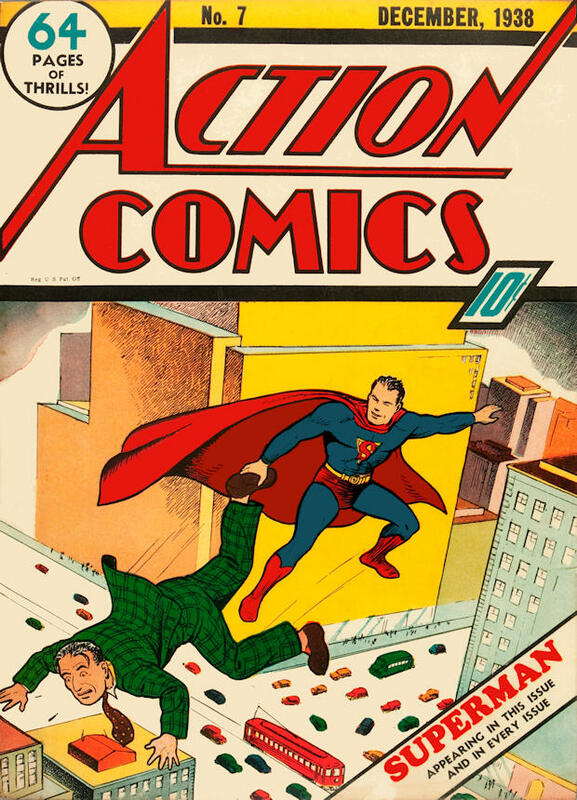 We highly recommend the cover galleries for Action and Superman at The Grand Comics Database, which we have found to be extremely valuable for general research. While the images have been too small for our uses here, they were perfect for getting a fast look at 50 covers of one title at a time and being able to pinpoint the best covers to use. 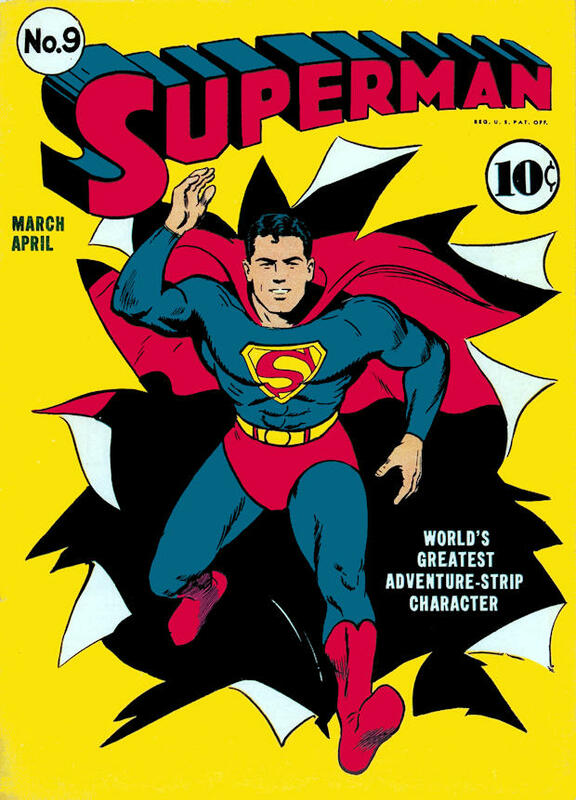 As you can see, this symbol was quite different than it would become upon publication, with the exception of the cover of Action #1. 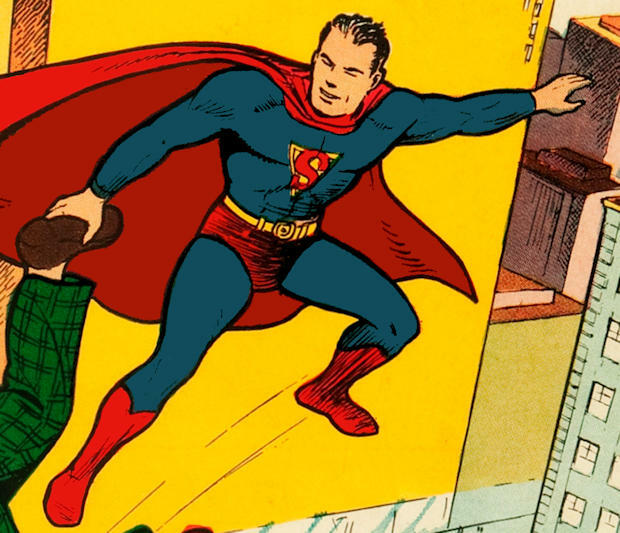 Close inspection of superman's costume on the cover reveals that this was the same costume, boots/straps and symbol (this image was taken from Famous First Edition C-26, and we enhanced the coloring to follow the actual lines drawn for the symbol and the boots to clarify the image). A representation of the first symbol (click here) in its earliest form provided for comparison. This shield represented something akin to the shape of a police officer's badge (which would later become the shape of the hand-held shield of a later hero known as "The Guardian", who was a police officer in his secret identity - but that's another story...). 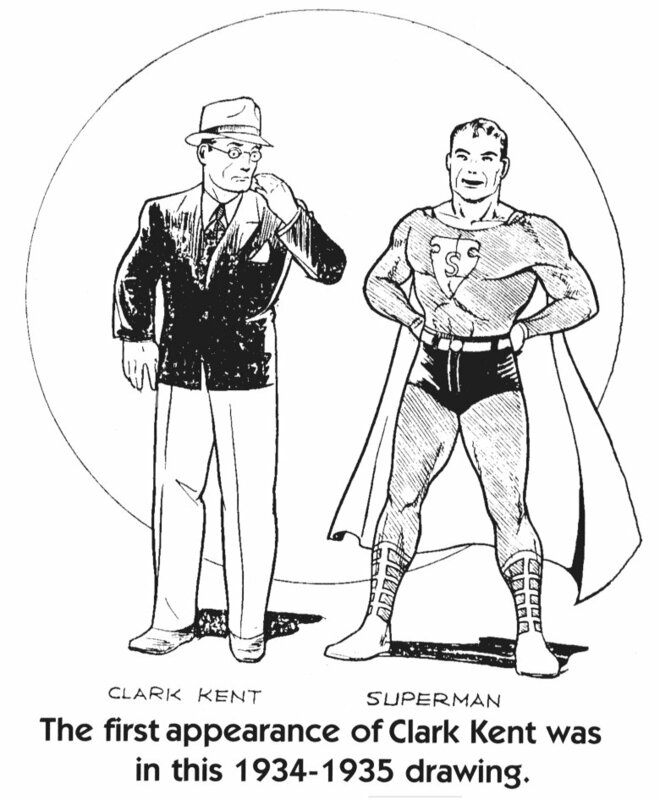 Jerry Siegel and Joe Shuster had intended Superman as a comic strip character, but had been turned down by numerous syndicates. 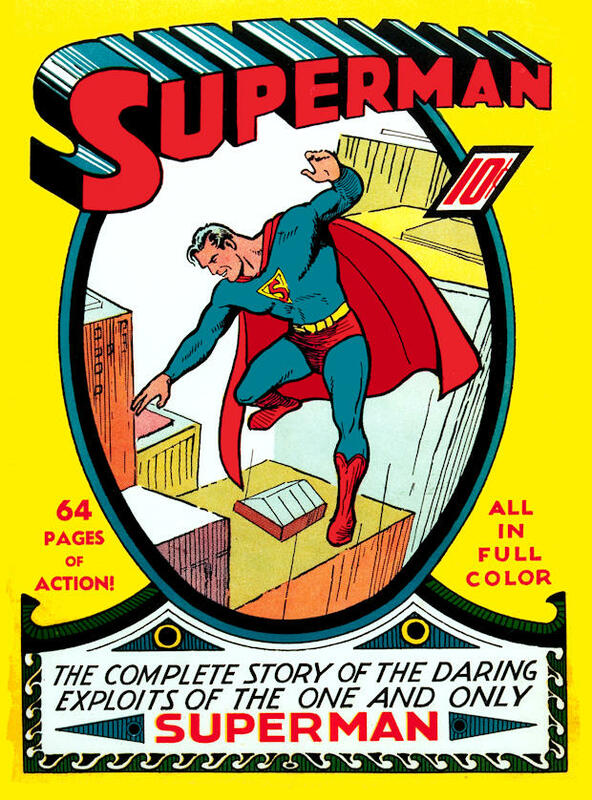 When they prepared Superman for his first comic book appearance, Joe cannibalized the strips and reoriented them into page form with slight adjustments for the difference in medium. 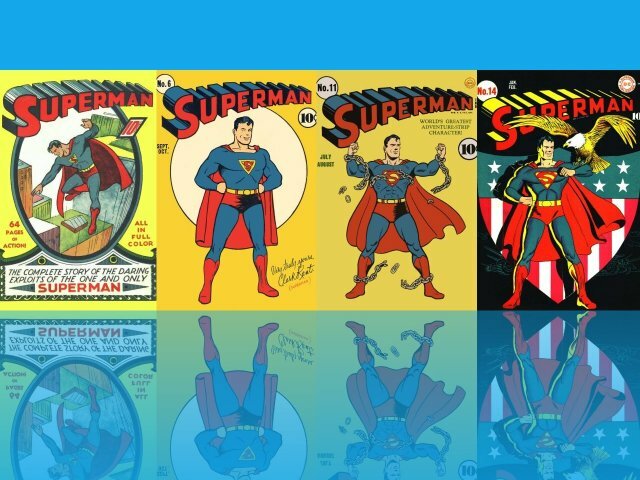 Superman saw newspaper publication a year after his first comic book appearance and his appearance was similar, but you can see from the examples below that there was a considerable difference in the quality of reproduction. 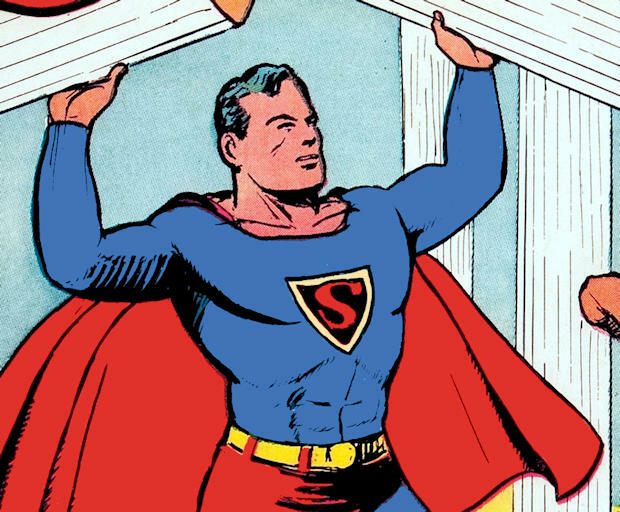 Superman's symbol takes on a triangular appearance in the pages of Action Comics, newspaper comic strips and the first few issues of Superman Comics. 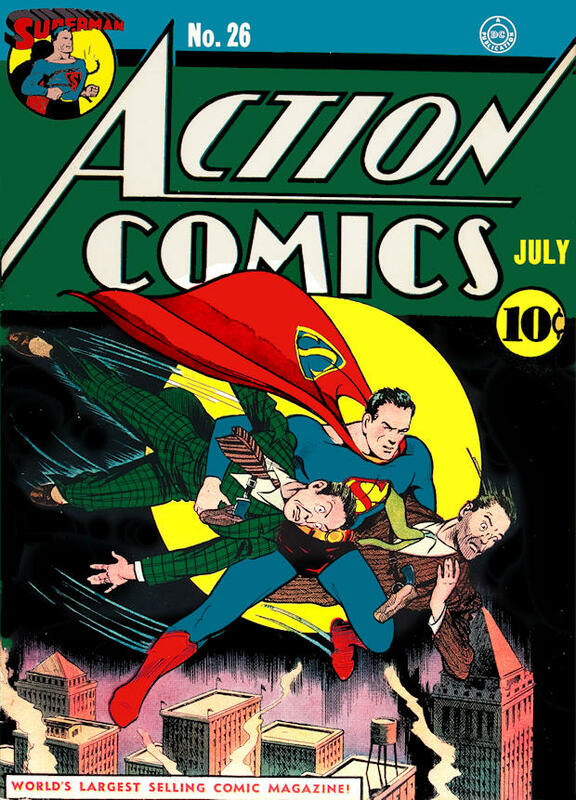 Superman only saw six other covers of Action Comics for the next 20 issues, one of which was a bit of a misrepresentation of his costume. The next time we see him on the cover of Action #7, his symbol appears more like that on the inside pages. This was further in evidence as late as 1940. Click for a detail of Action #7. 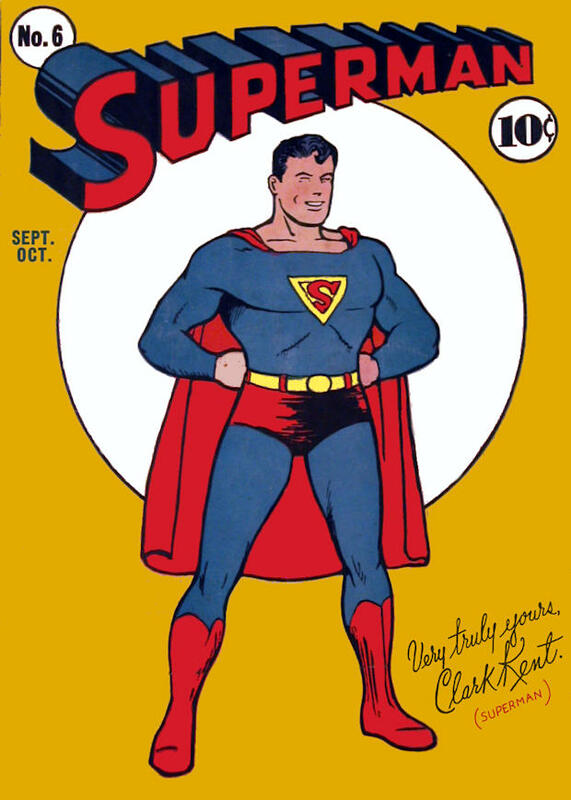 Here are the covers of Superman #1 and #4, which is the last appearance of the symbol in this form on a Superman cover. 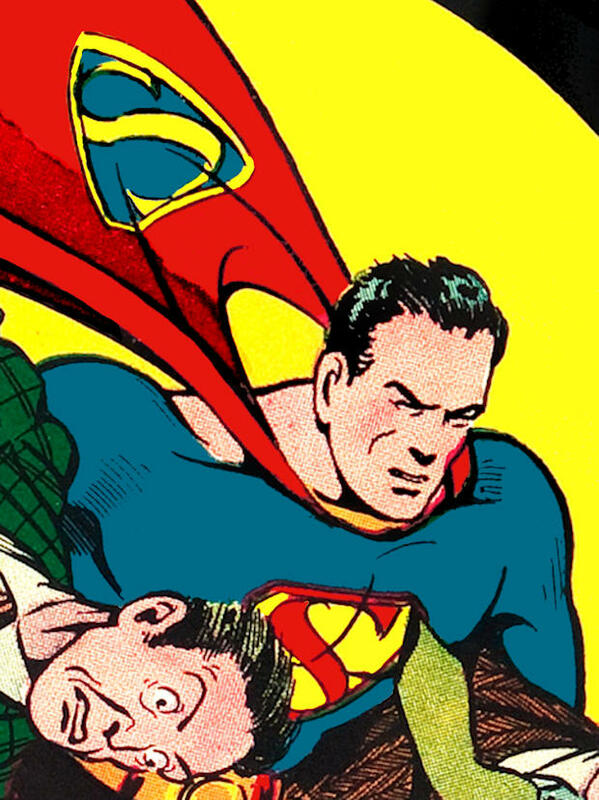 Click for a detail of Superman #1. Here is a representation of the symbol as it was published circa 1938. 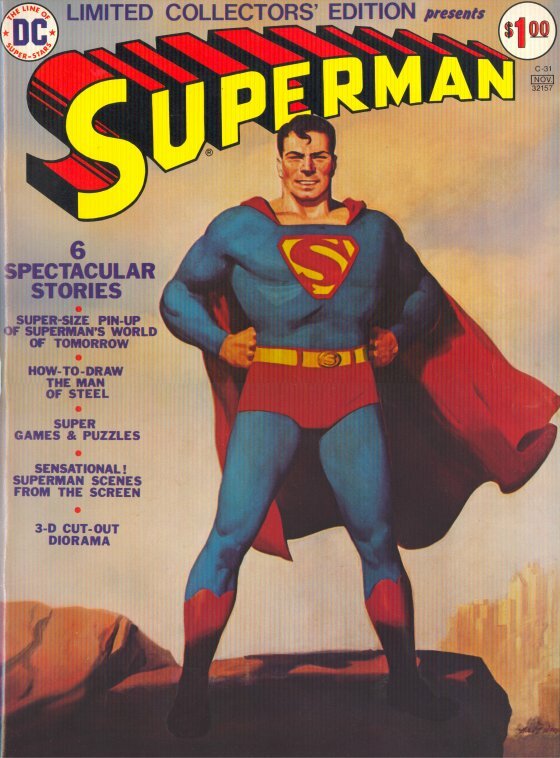 Click for detail of Superman #6. 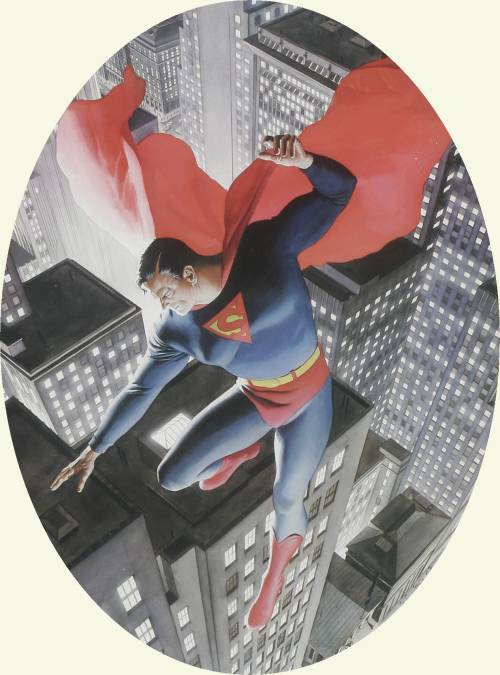 Click for detail of Alex Ross's Superman #1. 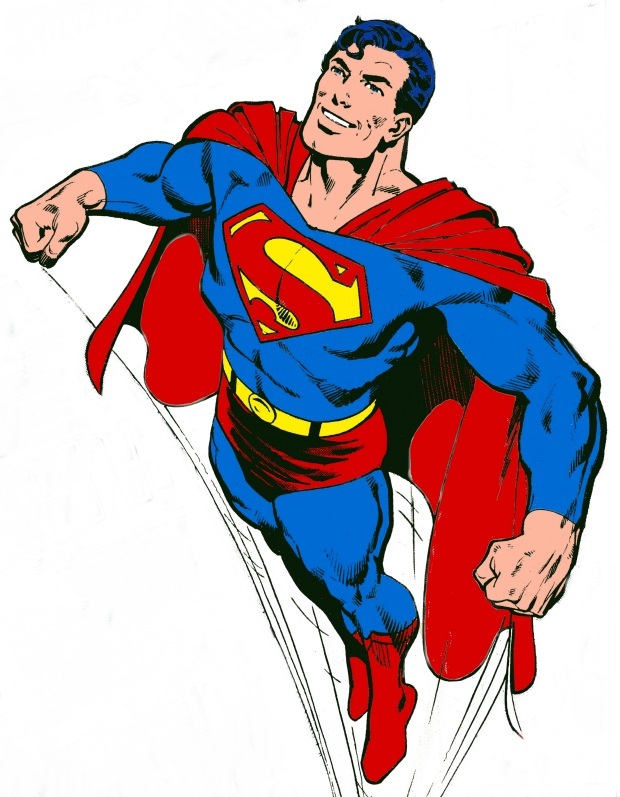 And here is a representation of the First Stylized Superman Symbol. Here is a representation of the Fleischer/Black Symbol. 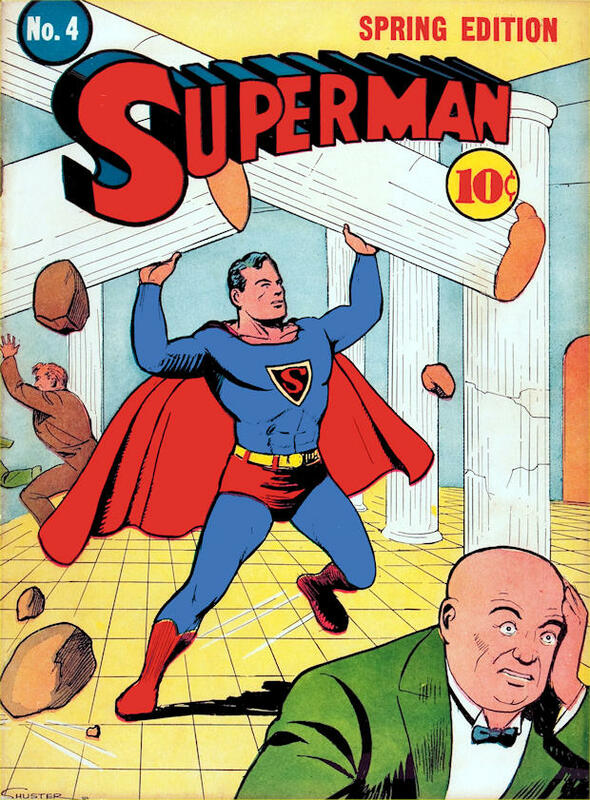 While the black background and yellow diamond could have simply been an artistic preference, it appears to be an application of the Superman #4 cover symbol (see above), which appeared around the same time as the first Fleischer films. [Note: Comic book cover dates are much later than their actual appearance on the newsstands, as many newsstands pulled books based on their cover dates.] 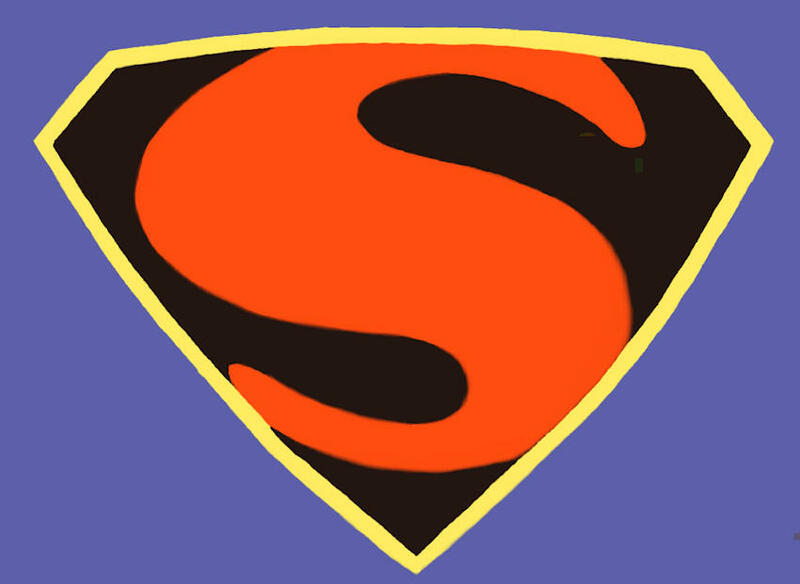 This approximate symbol also appeared as that used on the cover of a reprint reissue volume of Superman's comic strip adventures. There were several versions of the symbol as it continued to be published. 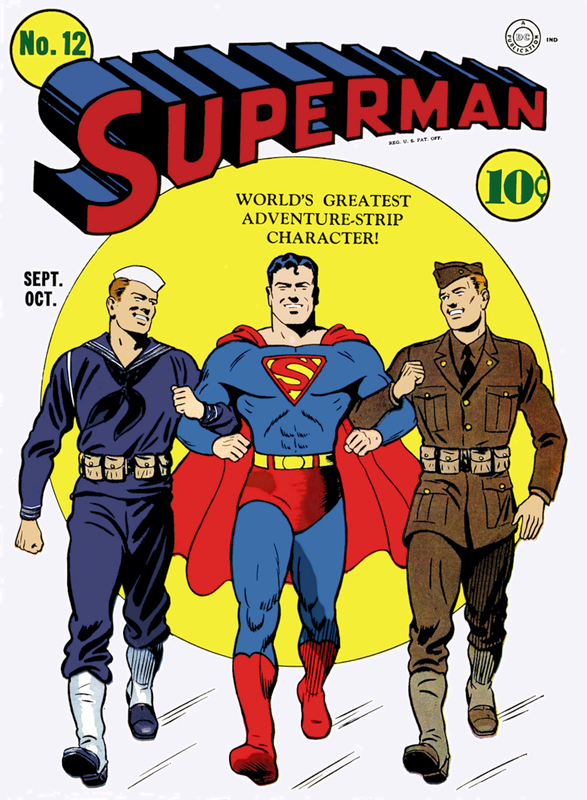 This cover by Paul Cassidy, published August 1940, was the first cover depiction of the next most popular version of the symbol (as Joe Shuster drew less and less cover figures and his "ghosts", like Fred Wray, John Sikela and Wayne Boring began to work more and further into their own style). This symbol had a bit larger "S" than is shown in most stories, but it is far more difficult to get a clear shot of the symbol on interiors, so this cover from Action #26 serves as the first cover appearance of this symbol. Superman #7 follows suit, but mixes up the colors! Click for detail of Action #26. 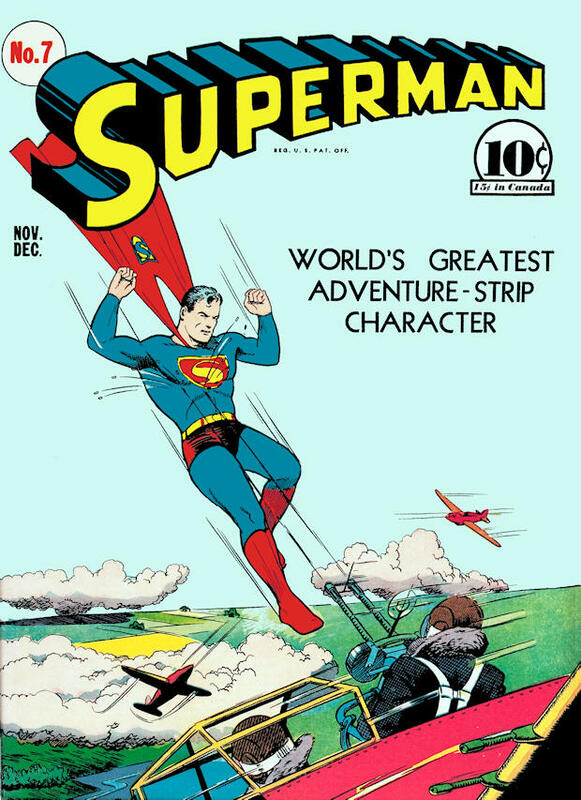 Click for detail of Superman #7. Click for Detail of Superman #7 with corrected colors (the "S" is red, guys!!). 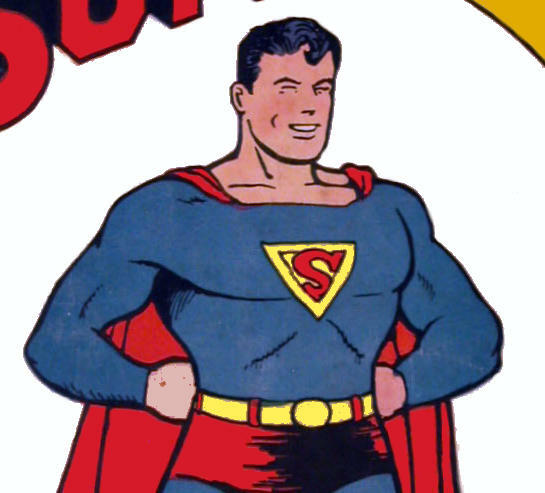 The symbol as it appeared at that time in the comics, circa 1940. Note that there are no borders on the ends of the "S", as this is the way it appeared regularly in print in the interiors. Here is a representation of this version of the symbol in color. 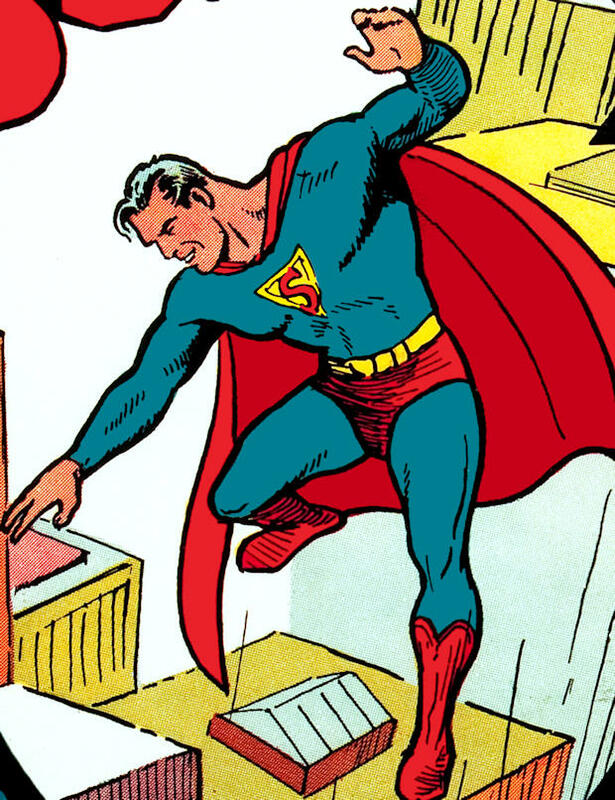 Click for detail of Superman #9. A representation of the Golden Age emblem in color. 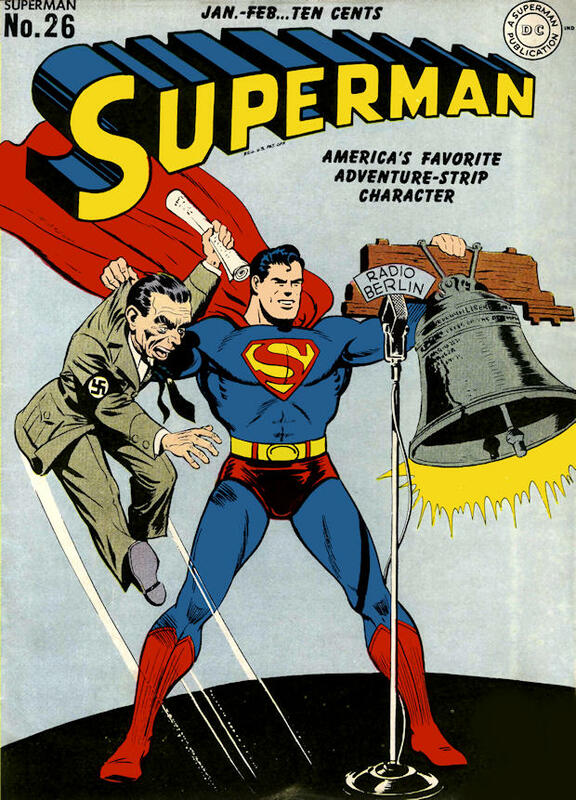 That version of the symbol appeared on covers through December, 1943. Some Fred Wray covers also had a different serif, more closely resembling the painting by H.J. 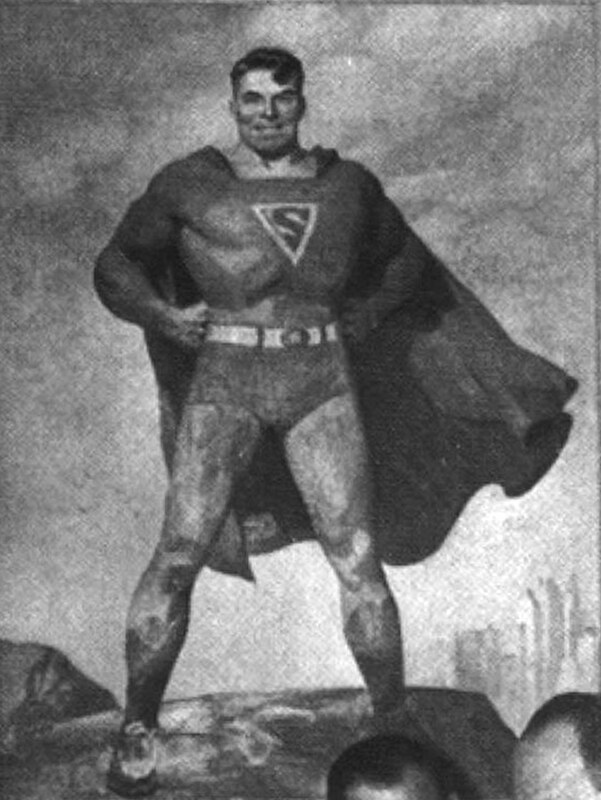 Wray, such as Superman #12. 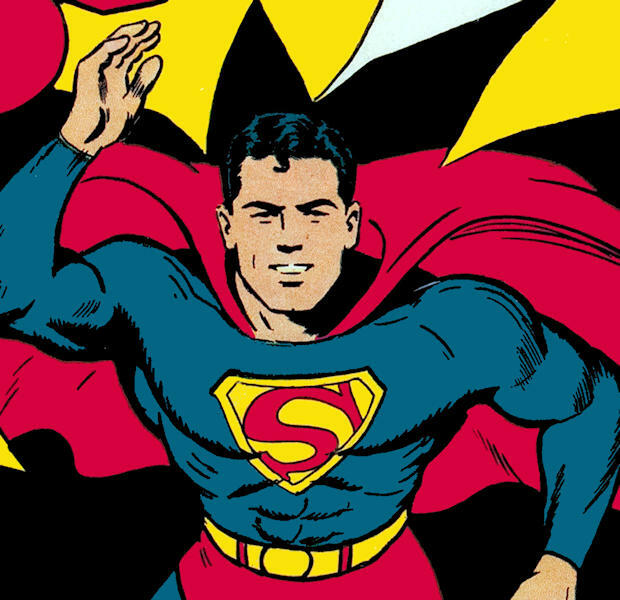 Click for detail of Superman #12. There was one further evolution, which may have been due to National realizing that this property had "legs" and was going to be around for awhile. In order to be able to keep a property in publication for longer than 75 years, one would have had to trademark part of that character's appearance. Disney did it with Mickey Mouse and Superman was much easier to pull off, due to the emblem on his chest. 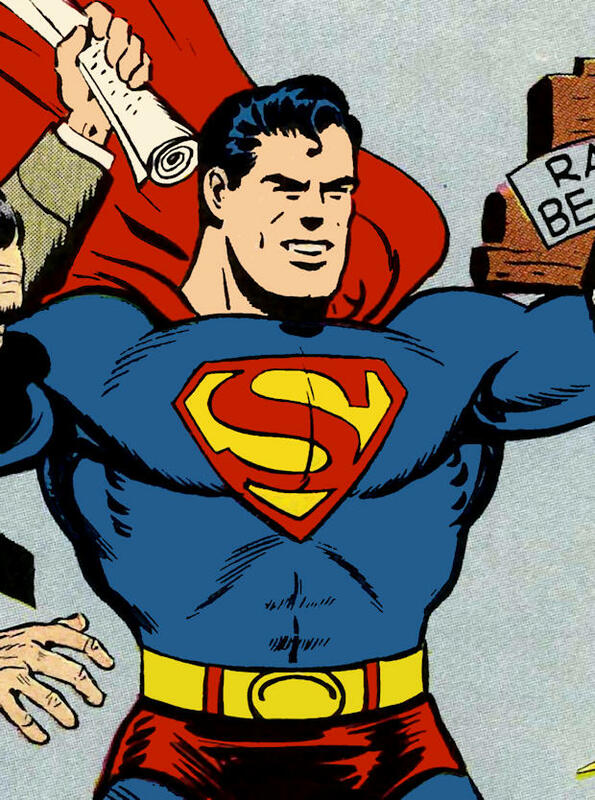 In 1944 - the very next issue after Superman 25 - the trademarked version of the symbol appeared. 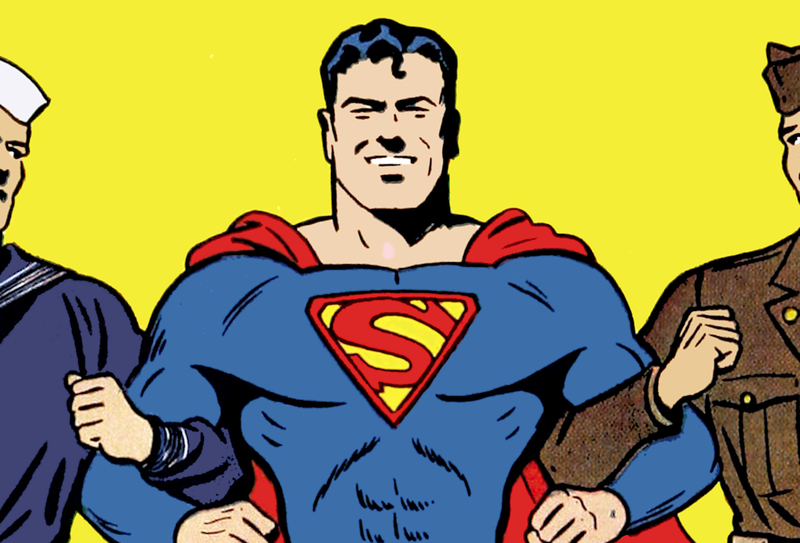 Click for detail of Superman #26. 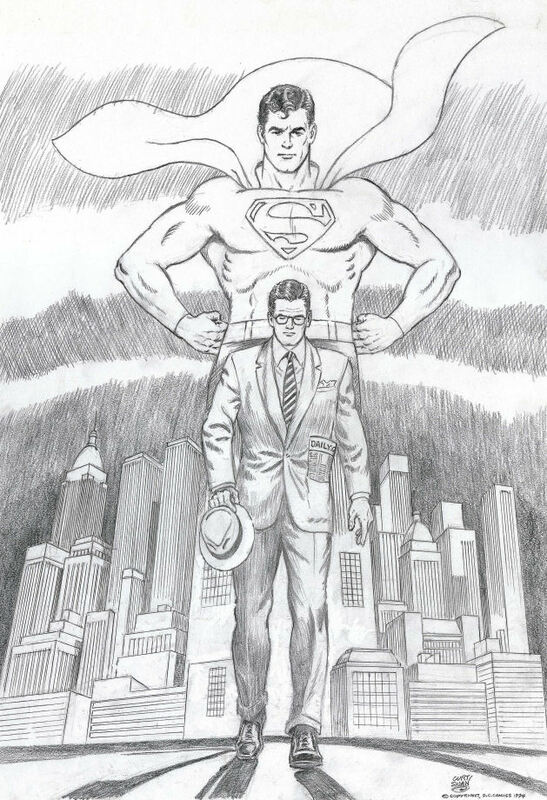 Probably the most popular Superman artist of all time still had to be Curt Swan, whose work is depicted here. Click here for the symbol as the general public became accustomed to seeing it. The symbol as it was presented from the John Byrne era on. For comparison's sake, we've provided a collage of all these symbols. A Contrast from one period to another. 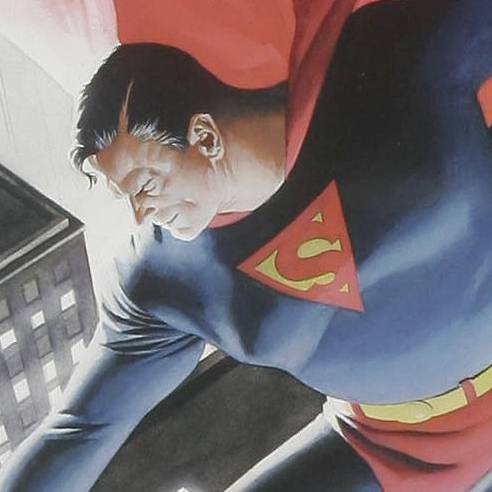 As mentioned previously, Superman has been Alex Ross's favorite character and Kingdom Come, like any story about heroes in the DC Universe, was a Superman story. 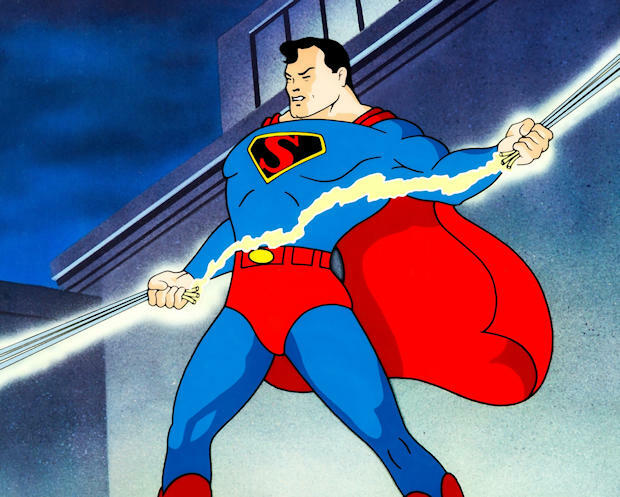 When Superman reappeared, his symbol took another turn in it's constant morphing. Alex was quoted as indicating that he had always liked the way the Fleischers used black in the negative areas, so he created a deceptively simple design utilizing that idea. The symbol as it was presented by Alex Ross in "Kingdom Come". You think the TV and Movie representations were perfect? Not quite! Each, individually, has been the industry's best tries to date, certainly - but none of them have been made with quite the precision we find in the drawn versions. 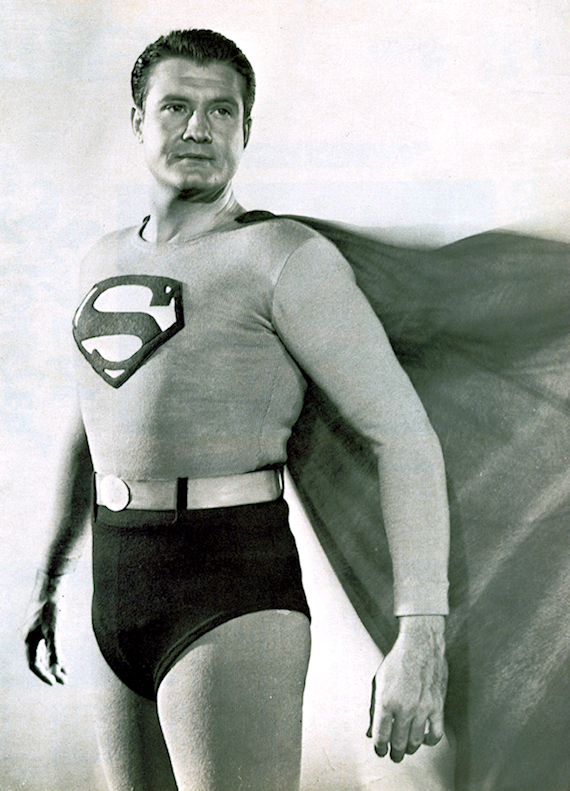 George Reeves had a laudable try in "The Adventures of Superman" on television (the same suit was originally used in the Kirk Alyn serial). Here is a representation of the symbol taken directly from a head-on photo of this original costume. Christopher Reeve had another very close attempt in the "Superman" movies. 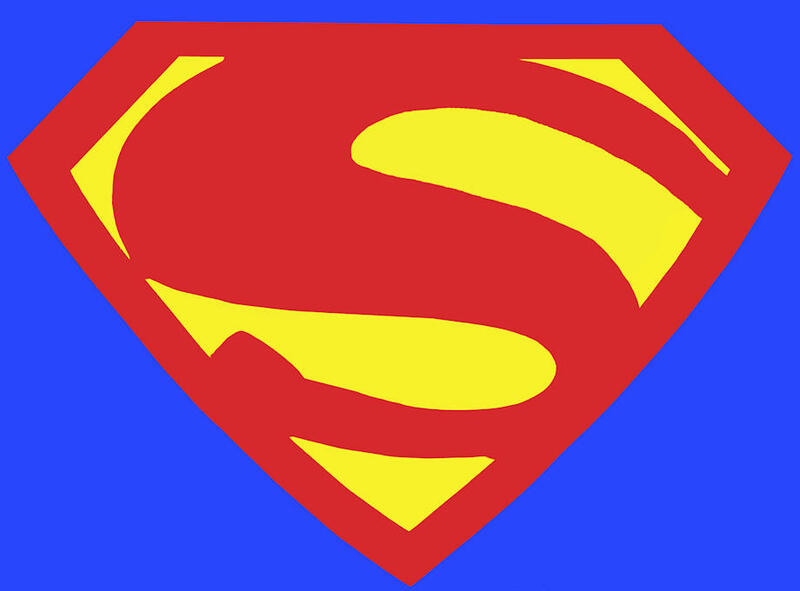 Even closer was the symbol from the late, great TV series, "Lois & Clark: The New Adventures of Superman", in which Dean Cain played the titular male character. Here's a representation of that selfsame emblem, using the same colors as the outfit. 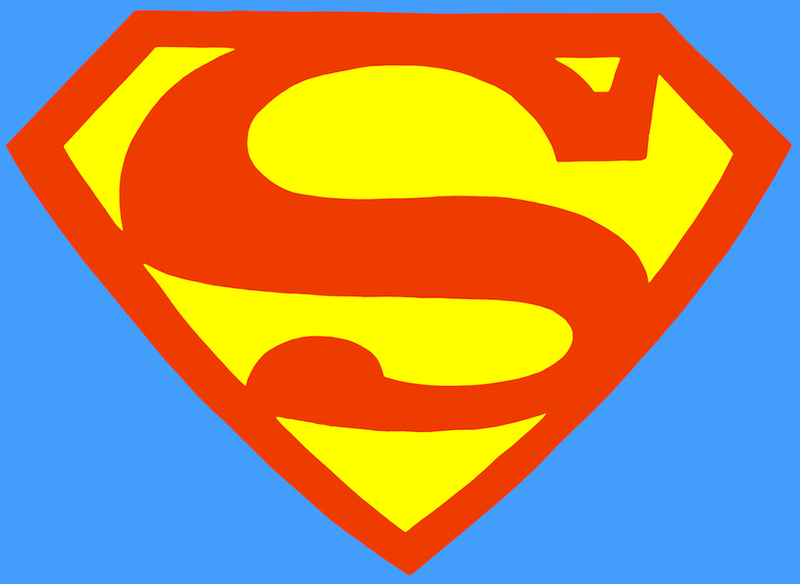 As we neared the premier of "Superman Returns", we were consistently reminded of the importance of Superman's symbol. The trailers and teasers utilized it repeatedly and it stirred the emotions of moviegoers and web-surfers everywhere. 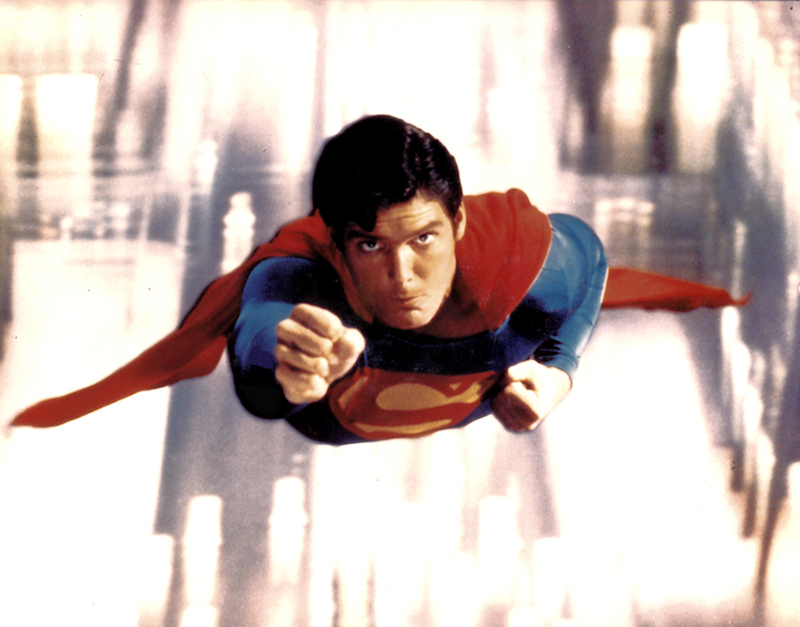 While previous live- action versions of Superman in film or television had not quite perfected the art of the "S" shield, this one tried a new tactic by going with a plastic relief (3-D) version that was not only on his chest, but they included one on his belt... okay, maybe not my favorite choice. But I appreciated the efforts to honor the Donner movies with Christopher Reeve. 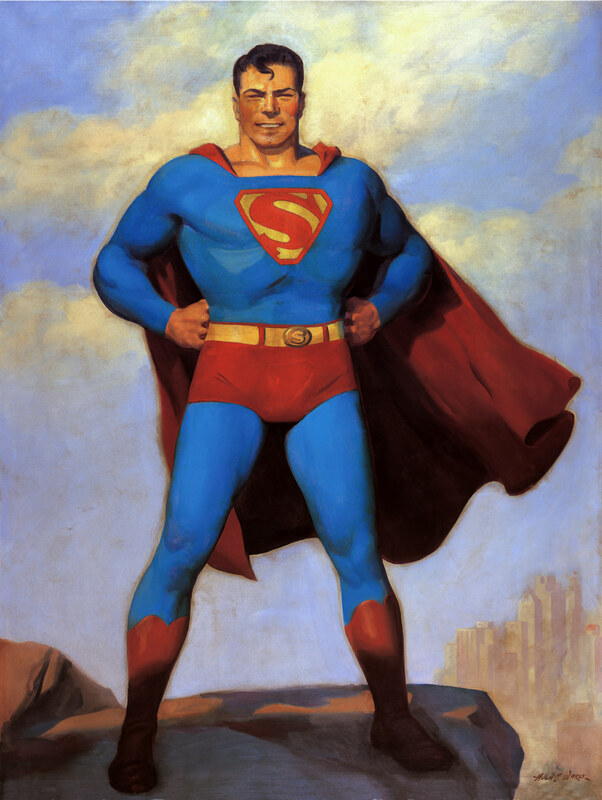 The version used in the 2006 movie "Superman Returns". Lastly, I also appreciated the callback to the symbol used by the Superman of Earth-2, as represented above. The new version worn by Henry Cavill as Superman in "The Man of Steel", Batman v. Superman: Dawn of Justice" and "Justice League"
I hope you enjoyed this complete waste of your time - I sure did! PS - Here is a project that was based on of the above information - take a look at Marcus Parcus' reimagining of Superman's costume! Some of the above covers! NEW - WHEN DOES "THE BRONZE AGE" BEGIN? THE AMAZING OUTFITS OF SUPERGIRL! Superman and images © and ™ of DC Comics.